We welcome children ages birth–3 years to be cared for during worship services and special events. A team of caregivers leads children in age-appropriate playtime, prays for each child, and shares God-centered stories, songs, and memory verses. If you plan to use the nurseries regularly, register your child(ren) with Family Discipleship Registration. Each time you use the nursery, visit a Check-In Kiosk to check in and print nametags for your child(ren). 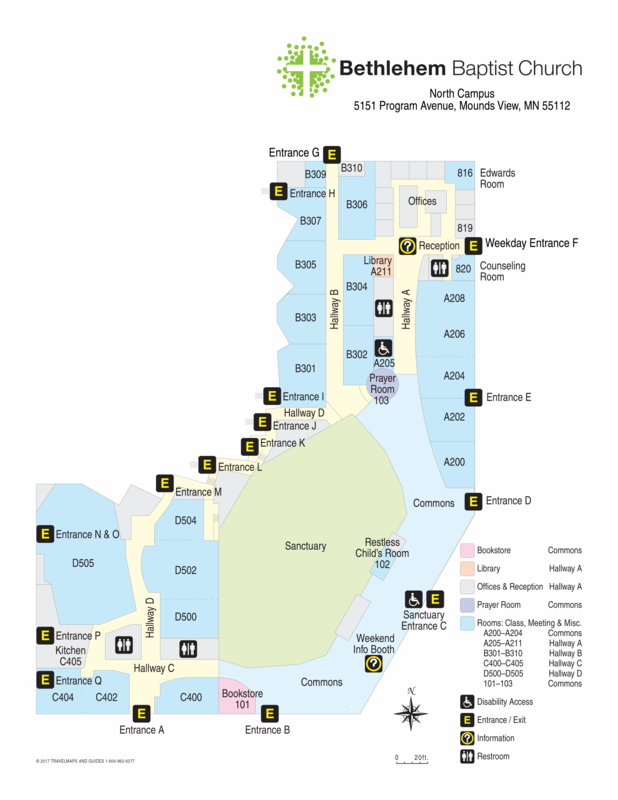 Nursery rooms are located in Hallway B of the North Campus (see map). Looking for the Nursing Moms’ Room or the Restless Child Room? Please ask at a nursery counter or contact Carmen Tomaszewski (612-455-0800 x807). We are delighted to welcome the newest member of your family to our church community! If Bethlehem is your church home and you’d like to have your child’s birth or adoption announced in the Weekly e-newsletter and at weekend worship services, contact you campus Lead Coordinator by Thursday at 5pm. Parents must attend the Parenting the Early Years seminar in preparation for dedicating their child. These seminars are offered about three times a year. After the seminar, pastors and elders schedule a home visit to meet the parents and child. Parents contact their campus representative (below) schedule their participation in an upcoming Child Dedication Service. For more information and to schedule your participation, contact Lulu Robinson (612-455-0800 x805). Loving, nurturing caregivers strive to lay a solid spiritual foundation in the lives of the littlest ones at Bethlehem through intentional prayer, Bible lessons, and biblical truths. Opportunities to serve abound on weekends, various weekdays for MOMS, Bible studies, and special events. Concerning time requirement, there is a lot of flexibility—choose to serve once a month, twice a month, weekly, and/or occasionally for special events.